Almost as soon as Intel released the awesome Core i7-980X Extreme Edition we were bombarded with questions by readers asking when Intel was going to launch a more reasonably priced 6-core CPU. Four months on and the wait is now over, thanks to the appearance of the Core i7-970. As you’ll probably already have noticed, the i7-970 isn’t branded as an Extreme Edition (EE here-in for brevity), but what does this mean? Not a lot, as the only tangible advantage an EE CPU has is an unlocked CPU multiplier, something that only extreme overclockers with an exotic coolers will be able to take advantage of. However, as EE CPUs are cherry-picked from the production line, it’s also likely (but not guaranteed) that an EE will overclock better than a non-EE chip. Anyway, back to the vanilla Core i7-970, which (on paper, at least) runs at 3.2GHz, a mere 133MHz slower than the i7-980X EE. 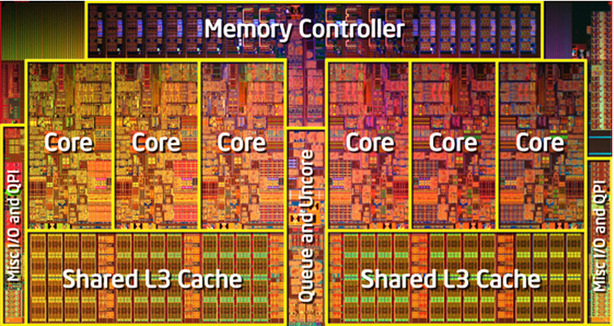 It shares the same 6-core Gulftown design as the i7-980X EE, so is made from 32nm transistors and has a whopping 12MB of shared Level 3 cache. 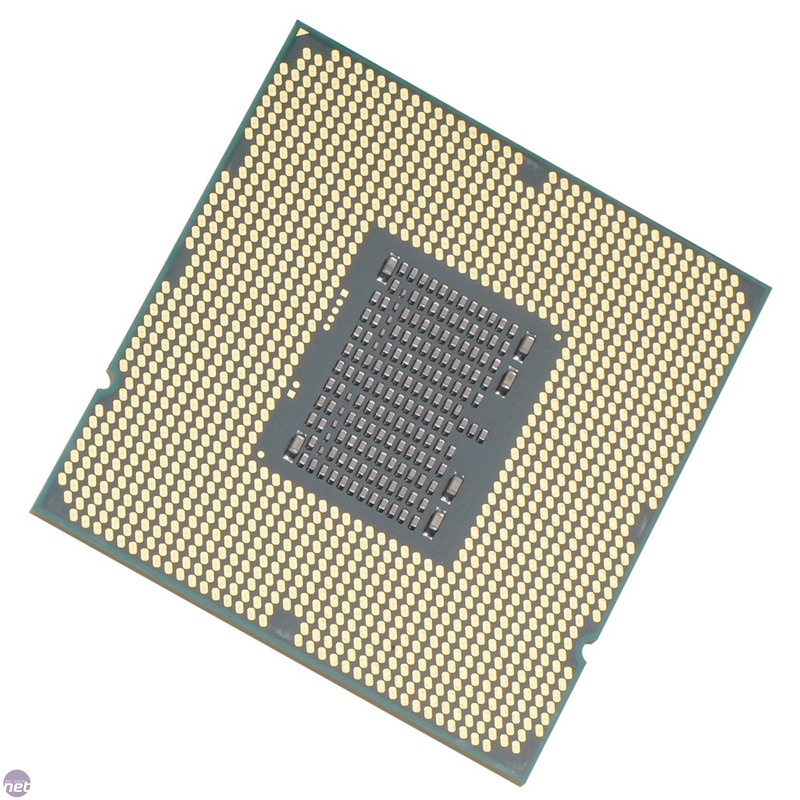 Like all LGA1366 CPUs it has an integrated triple-channel DDR3 memory controller and Turbo Boost, which automatically overclocks the CPU on the fly under load. Unfortunately, due to their higher TDPs, Turbo Boost is a lot more conservative on LGA1366 CPUs than with their LGA1156 counterparts. Even so, the i7-970 spent most of the time we spent testing it at 3.33GHz, rather than 3.2GHz. Mmmm, chips. Well, one chip. Click to enlarge. While the i7-970 may only be slightly slower than the i7-980X EE out of the box, it’s a whole new game when it comes to overclocking. This is because while the i7-980X EE is an absolute beast, hitting 4.4GHz on air, we were only able to overclock the i7-970 from 3.2GHz to 4GHz. While this isn’t a bad overclock, and did boost performance considerably, it’s a much worse overclock than the i7-980X EE. In fact, this result makes the i7-970 one of the worst Core i-series CPUs for overclocking that we've seen. The overclock of the i7-970 was achieved by dropping the CPU multiplier to 20x and raising the QPI to 200MHz. We overclocked in this way so that we could run our RAM at its optimum 1,600MHz frequency. However, no amount of fiddling with the QPI bus or the multiplier, or the various voltages of out motherboard could get the CPU to run stably beyond 4GHz. To stabilise the overclock we boosted the vcore to 1.38125V, the CPU PLL to 1.96V, the QPI to 1.375V, the IOH to 1.3V and the ICH to 1.2V. These are exactly the same voltages we used to overclock the i7-980X EE a few months ago, so the 4GHz overclock is a very disappointing result for the i7-970. Just to make sure the i7-970 didn't need more voltage than the i7-980X EE we did try increasing the vcore above 1.38125V, but every time we did so the i7-970 kept overheating and throttling back to 3.8GHz.